We provide a wide range of intellectual property services in Brazil and Portugal, including prosecution, administrative litigation, and general consulting services. The interdisciplinary nature of intellectual property tends to be considered complex by most people. For us, it is precisely that ever challenging and unique intersection between technical, legal and business strategy issues that drives us. We do IP and IP only. By staying focused on what we know best, we continue to improve our expertise and to provide our clients with the highest quality service. We advise clients from all walks of life, from the smallest start ups and university technology transfer centers to the largest multinational corporations. 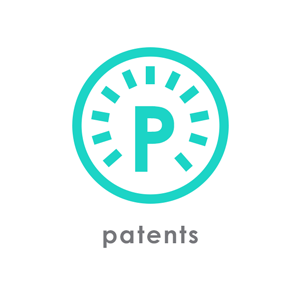 We help our clients protect their innovative creations and build their patent, trademark and design portfolios. We mediate the negotiation of new technologies and the acquisition and licensing of intellectual property rights. We partner with our clients to identify, protect and leverage their intellectual property assets efficiently and effectively, whatever the invention, technology or brand. We help our clients navigate the world of IP in Brazil and Portugal. We also rely on our experience and a network of trusted associates worldwide to help our clients navigate their IP issues on a global scale. Whether your invention is part of a large oil drill or a complex biomolecule, our team is prepared to provide a comprehensive patent service, including: drafting and prosecuting patent applications; presenting third party observations (“oppositions”) and administrative nullity procedures. Our services also include prior art, infringement, validity and invalidity searches, freedom-to-operate, infringement and validity opinions and watching services of patent applications filed by third parties. We also assess patent portfolios for technology transfer and due diligence purposes and provide general consultancy services related to patent protection. Brands are probably the most important intellectual property asset of a business. It assures quality, defines companies and products and communicates with customers. A strong brand gives you a significant market advantage. We protect brands that range from local single brands to internationally recognized brand leaders. Our services include filing and prosecuting trademark registrations; Conducting trade mark clearances and availability searches. Our services also include watching services of trademark applications filed by third parties, assessment of conflicts, filing of oppositions, administrative nullity procedures and non-use cancellation requests against trademark registrations. We also evaluate trademark portfolios provide general consultancy related to trademark protection. In the 21st century designs are more important than ever. Most products only achieve market success when bound by attractive and creative designs. Businesses need to consider design protection in the process of design creation and commercialization. Our team acts in the preparation, filing and maintenance of design registrations. We perform prior art, infringement, validity and invalidity searches and prepare freedom-to-operate, infringement and validity opinions. We conduct watching services of design applications filed by third parties and prepare administrative nullity procedures against third party applications. We are experienced in the assessment of design portfolios and provide general consultancy services related to design protection. With the advance of globalization it has become increasingly important to protect the origin of goods and services. Geographical indications help consumers identify products as being from specific geographical location or origin that became famous for their goods or services. The industrial property legislation has foreseen the importance of protecting such rights and our firm provides all the required assistance regarding the analysis and preparation of applications for geographical indication recognition, monitoring the administrative process and monitoring third party applications. Copyright is an area of IP law that is becoming increasingly important, particularly with the continued rise in the creation and dissemination of musical, literary and film works by electronic means. We assist our clients in the registration of software and intellectual creations with the competent authorities, We counsel our clients in the acquisition of copyrighted works. We review and draft copyright license and assignment agreements, as well as other contracts relating to audiovisual, advertisement, musical and artistic productions; We counsel clients on open source matters and general consultancy services related to copyright protection. The protection of life science inventions can be challenging in Brazil. Brazil has only allowed for the patentability of the patenting of pharmaceutical and agricultural products after the enactment of TRIPS agreement. This gave rise to a number of unprecedented technical and legal issues, which range from the previous approval by the regulatory agency ANVISA for pharmaceutical patents and the examination fast track for inventions that target certain diseases to the term of patents filed under the mailbox system. Our team has an outstanding technical background and proven track record in the life sciences and is ready to assist our clients in complex matters in this important technological field. Brazil is mega-biodiverse country. 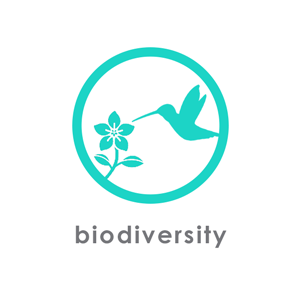 Due to of the great importance and intrinsic value Brazil´s biodiversity is protected by strict rules. Executive Order No. 2,186-16 of 2001, governs the rules for the access to genetic patrimony, the protection and access to associated traditional knowledge of local communities and indigenous peoples, benefit sharing and access to technology and technology transfer for the conservation and sustainable use of biodiversity. We provide consulting services regarding technical procedures before the Genetic Patrimony Management Council (CGEN), the National Technical Commission on Biosecurity (CTNBio), the Brazilian Institute for the Environment and Renewable Natural Resources (IBAMA) and the Ministry of the Environment (MMA). Our firm also carries out technical consulting services for biotechnology inventions and plant varieties. Plant varieties are protected in Brazil by plant breeders’ rights, a sui generis form of intellectual property. Rights are granted to the breeder of a new variety of plant that give him exclusive control over the propagating harvested material for commercial purposes. Our team offers advisory and consultancy services relating to all aspects of the protection of plant variety and plant breeders’ rights in Brazil and abroad. Our services include consultancy services on the viability of plant varieties protection, filing and tracking of applications for protection of plant varieties at the National Plant Variety Protection Service (SNPC), registration for the marketing of plant varieties with the National Register of Plant Varieties (RNC). We also execute watching services for monitoring third parties on the registrations of plant varieties and/or certificates of protection granted for plant varieties and prepare oppositions against applications filed by third parties. In view of the growing role of computer programs in a broad range of industrial sectors, adequate protection of these innovations is a must. We provide assistance to our clients in all stages related to obtaining registration for computer programs as well as new topographies of integrated circuits before the Brazilian Patent and Trademark Office (INPI). Corporations should consider the possibility of registering their distinctive signs as domain names, in order to secure protection against piracy and unfair competition acts in the Internet. Brazil has a peculiarity with this respect since national legislation only allows the registration of domains to companies legally established in the country. 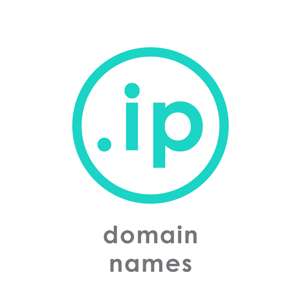 Our firm´s services include conducting domain names clearances and availability and, consultancy services related to the protection of domain names in Brazil and abroad, including registration, payment of annuity fees, transfers and cancellations of registrations. Investment in technology and innovation is an efficient strategy for business success, especially in today’s highly competitive environment. Our team supports our clients in licensing and technology transfer negotiations and the exploitation of intellectual property rights. We provide opinions on the licensing, assignment and the exploitation of trademarks and patents, prepare technology transfer, licensing and franchising agreements. We also advise our clients on the appropriate tax contributions, compliance with requirements, and recordal of agreement terms related to patents, trademarks, designs, geographical indications and computer programs before the Brazilian Patent and Trademark Office (INPI) in order to allow for the remittance of royalties abroad. Intellectual property assets are among the most important assets that businesses own today. In the age of mergers, acquisitions and divestitures in which we live, it can be challenging to really understand intellectual property portfolios. Our team of business savvy professionals advises on third party intellectual property rights and how these affect our clients’ activities. 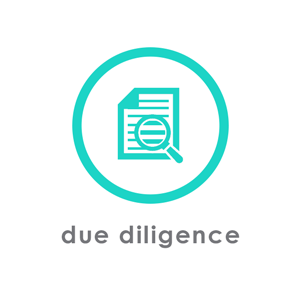 Our services also include the analysis of intellectual property portfolios and the preparation of due diligence reports for funding, stock market flotation, business or project acquisition. Whether it is a simple trademark or a state of the art biotechnology invention our experts have the technical ability and the experience to work together with our clients to devise and implement an intellectual property strategy that is best suited for their businesses. We are also prepared to assist in the strategic management of intellectual property portfolios through our network of respected associates worldwide.